Clark Seif Clark (CSC) offers testing and consulting services to help identify and prevent human exposure to asbestos and other hazardous materials. Malignant mesothelioma can take years to form after someone is exposed to asbestos. Many people with malignant mesothelioma have worked or lived in places where they inhaled or swallowed asbestos. Malignant mesothelioma is a disease in which cancer cells are found in the thin layer of tissue that lines the chest cavity and covers the lungs or the thin layer of tissue that lines the abdomen and covers many of the organs found there. Because of its fiber strength and heat resistance, asbestos has been used in a variety of manufactured goods and building construction materials in the past. 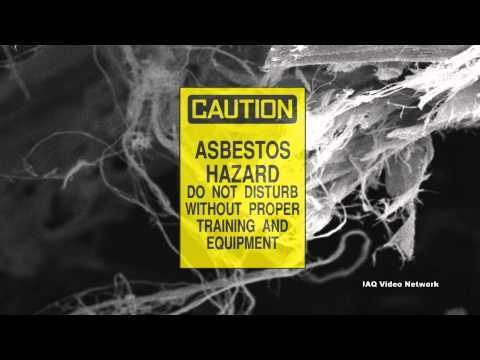 Asbestos fibers may be released into the air by the disturbance of these asbestos-containing materials during product use, demolition work, building or maintenance projects, repair and remodeling activities. Although many people think that the use of asbestos has been banned, there are still materials that can legally contain it. In 1989, the U.S. Environmental Protection Agency (EPA) issued a final rule under Section 6 of Toxic Substances Control Act (TSCA) banning most asbestos-containing products. In 1991, this rule was vacated and remanded by the Fifth Circuit Court of Appeals. As a result, most of the original ban on the manufacture, importation, processing, or distribution in commerce for the majority of the asbestos-containing products originally covered in the 1989 final rule was overturned. It is important that people realize that although the use of asbestos is banned in some products due to regulations such as TSCA, the Clean Air Act (CAA) and the Consumer Product Safety Act, there are still products that can legally contain asbestos. To learn more about asbestos or other environmental, health and safety issues and testing services, please visit www.csceng.com, email csc@csceng.com or call (800) 807-1118.